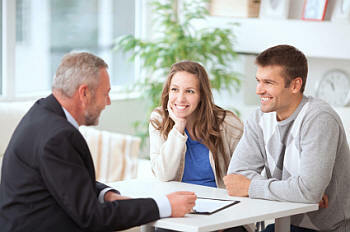 At Great Oak Lending Partners, we pride ourselves on finding the right loan to meet each client’s needs. Whether you are refinancing, purchasing, building your very first home, or buying investment properties or vacation homes, our staff of qualified professionals will work with you to secure the financing that best suits your goals. As your on-going advisor, we will also keep you abreast of interest rates and make refinancing recommendations in addition to providing you with excellent service. Our proactive approach has saved our clients hundreds of dollars each month, allowing them to use their hard-earned money elsewhere. For years the business community has turned to Great Oak lending Partners as a trusted colleague to whom they can refer clients. By building strong ties in both our industry and community, we are well equipped to meet our clients’ full range of needs. Great Oak Lending Partners consistently and efficiently services clients across the nation. We strive to close loans in 7-45 days. Our ultimate goal is for you to be happy with the choices you’ve made in working with us. Therefore, Great Oak Lending Partners guarantees 110% client satisfaction. We encourage you to contact us with any questions you may have, with no obligation whatsoever. When it comes to building Wealth Buffett is willing to invest in a sure thing!